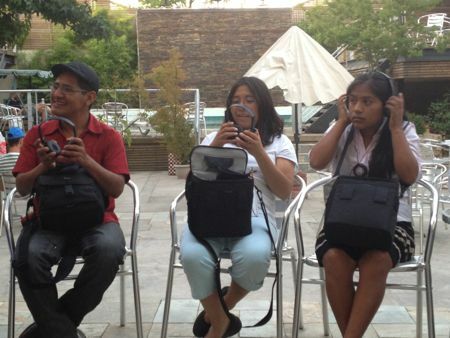 From January 7-11, 2013, twelve indigenous language activists from across Latin America gathered at the Santiago Library in Chile to explore how digital technologies can play a key role in documenting and revitalizing their native tongues as part of the “Enduring Voices” workshop. Organized and sponsored by the Enduring Voices Project, which is a collaboration between the Living Tongues Institute and the National Geographic Society, the workshop provided hands-on training about the use of digital tools in their work. Rising Voices also participated and provided a workshop in the use of citizen media for promoting the use of indigenous languages online. The workshop's primary activity was the creation of Talking Dictionaries. 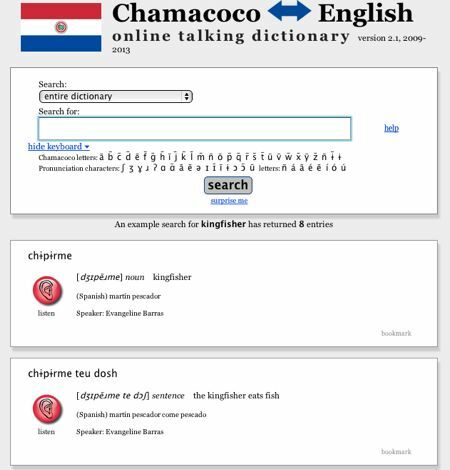 This platform provides for a searchable multi-lingual online dictionary that contains digital audio clips recorded by language activists currently working with the Living Tongues Institute. Each participant was provided a Technology Kit, based upon their current needs. Some of the activists received laptops, digital audio recorders, digital video cameras, tripods, sound-canceling headphones, and external hard drives for use in their work. Participants receiving their technology kits. However, it was the digital audio recorder that played a major role in the creation of the Talking Dictionary. Each participant was able to record high-quality digital audio clips, which could then be edited on free software programs such as Audacity. 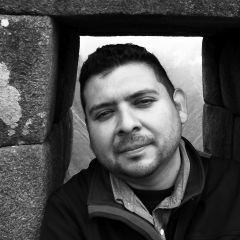 The clips are then tagged and uploaded to the server hosted by Swarthmore University, where it is matched up with the database that lists the word in the indigenous language, English, and Spanish. Espíritu Bautista and his son, Elmo are shown here recording audio clips of words in their native language of Yanesha, which is spoken in the Central Amazon region in Perú. At the end of the workshop, there were nine more Talking Dictionaries from languages such as Mapudungun, Tsesungun, Quechua Chanca, Yanesha, Miahuatec Zapoteco, Mazahua, Mam, Pipil, Besiro, and the expansion of an existing dictionary in the Ishír (Chamacoco). Each participant returned to their local communities equipped with the tools and knowledge to continue adding more words to the Talking Dictionaries with a clear mandate to explore the best way for their use in the communities. It is clear that these ambassadors play an essential role. Indigenous individuals can choose to learn more common languages and function as ambassadors to external communities so that their language and their culture can continue to thrive. Koong’k’awi (MAIDU) Penutiun dialect of the Northern California … To my knowledge we have no fluent speakers left, yet we are working on language. There are several different dialects at least 8 in (konkow) Koong’k’awi, so it seems are last resort is to blend them..